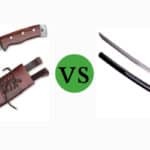 A machete or a sword – which is better? This question will have crossed the minds of anyone who has seen flicks such as The Lord of the Rings trilogy or the Machete film series. Seriously speaking though, the machete vs sword debate is made all the more complicated because the two look quite similar on the surface, and, not to sound too grim, have been used throughout history for comparable destructive purposes. To choose between them, we must first understand what makes both weapons / tools unique; you may be surprised to find that their similarities only run skin deep! 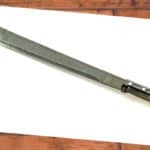 The machete is a versatile, affordable metal tool resembling a large knife that has been used for chopping and hacking for centuries, all over the world. As such, there are dozens of different types of machetes available today, each with its own unique features making it applicable to specific situations, but their general application is still the same. A sword is a sharp tipped, long bladed weapon, made from metal, with a hilt that bears a knuckle guard, which has traditionally been used as a thrusting / slicing weapon. There has been a multitude of sword varieties during different times and in different places, with some being more apt at slicing as opposed to thrusting, and in reverse. 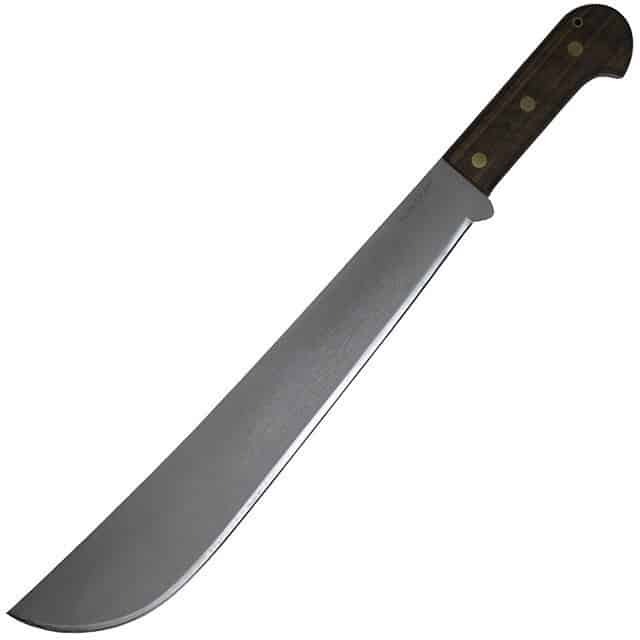 Blade length: A machete has a blade length ranging from 10’’ to 28’’, with the average being around 14’’. Blade thickness: Machete blades are quite thick, ranging from 1/8’’ to 3/8’’, depending on the particular type of machete. Blade tip: In most machetes, the blade ends in a blunted (and in some cases thickened) tip, to create a better chopping stroke, but there are exceptions to this rule. Blade material: The blade is normally made from carbon steel, stainless steel or high carbon steel. Blade profile: Machete blades are quite wide, edge to edge, and are either evenly weighted, or forward weighted. Handle: Machete handles are pretty standard fare – they can be made out of wood, ivory, plastic, rubber and Micarta. Normally, they offer no hand / knuckle protection to the wielder. Price range: $20 (mass produced) to $100+ (hand crafted). Blade length: Sword blades start quite long e.g. starting at around 18’’ (single handed variety) and can go on to be well over 40’’ (two handed variety) depending on the particular type. Blade thickness: Sword blade thickness ranges 0.15’’ to 0.45’’ at the base of the blade, and has a distal taper. Blade tip: The blade of a sword normally ends in a pointed tip, meant to pierce / slash through flesh and armor. 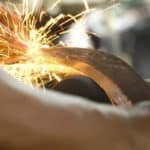 Blade material: Sword blades are usually made out of carbon or high carbon steel. Blade profile: Since the blade of a sword is quite long, it has to be tapered (made narrower along the length of the blade) in one or both planes, to make handling it easier. Handle: Sword handles consist of a guard (quillon / knuckle guard), grip and pommel. The guard protects the wielder from counter blows from their opponent. The grip is normally wooden or metal, and covered with animal skin or rubber, wrapped around it in a helix using wire. Price: $20 (imitation blades) to $150+ (practical blades). By their very design, machetes are meant to be used in tasks that require more power than finesse. Their thick, (normally) stocky blades, are ideal for hacking through thick, tough vegetation, as well as flesh and bones – both these applications have been well documented through the centuries. A weapon that can chop through through wood, plant and bone, is quite versatile. This, coupled with their famed durability, makes machetes a must have survival tool for any outdoorsman. By virtue of its construction and design, the sword has been used as a combat weapon for millennia. The long thin blades, with their pointed tips, made them ideal for cutting, piercing and thrusting blows, intended to cause serious bodily harm to the opponent in combat. In the past, machetes were made by craftsmen, by hand, and oftentimes, the skill was passed from father to son – this made them quite expensive compared to those of made today, now that they can be stamped out en masse through automated industrial processes. In general though, the work of a machete does not require precision as it does force, which is why their manufacturing process is not as complicated as that of a sword and can normally be managed by a single person. The end result is a cheap yet highly usable tool. Traditionally, swords were made out of steel billets that had to be hammered and squished into the desired shape / length, then rough ground and refined, tempered and polished. After this, they had to undergo a complex handle making process before they were ready. All of this was done by hand, and more than a dozen people were involved in it – making them extremely expensive. The replica swords of today are made much in the same way as machetes, but even so, have a more complex fabrication process because of the tapering blade edge, making them comparatively pricier than machetes. 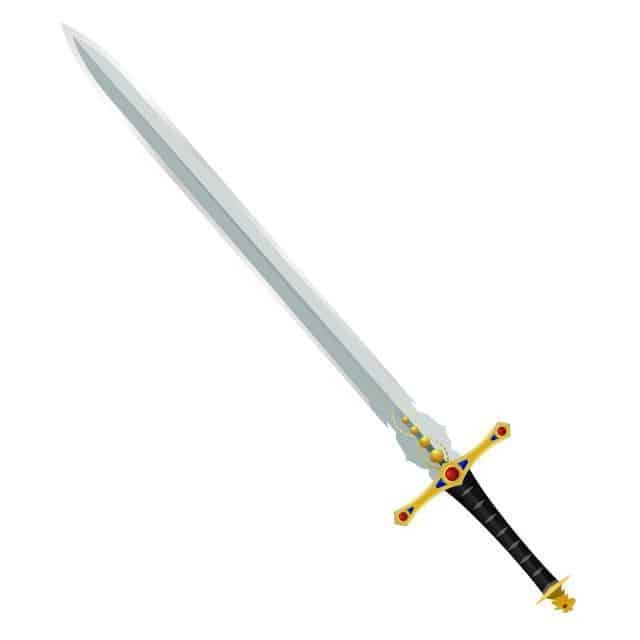 The cheaper replica swords available today are more wall ornaments than practical weapons. Because of their relatively small blade length, and their thick blades, machetes require you to get up close and personal with your opponent to do healthy damage. Their small length and usually blunt tip also means that they aren’t good at piercing armor. Basically, machetes are great for butchery style handiwork. Machetes also lack knuckle protection (mostly), which can make it all the more risky to spar against someone possessing a weapon with a longer, slimmer blade. Bear in mind that the cheap modern swords you find today have no practical purpose – they are nothing more than glorified toys. You’ll need to dole out some serious cash to get a working sword for your collection, but they would still be impractical, since their only real use i.e. combat, has long since evolved into a ranged, blink-of-an-eye affair. Swords may have served to clear grass / plant growth in makeshift situations, however, this is very impractical because of the length of the blade, which makes the weapon to bulky and clumsy to be swung repeatedly. 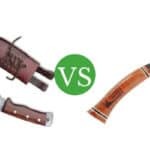 Having gone through the in-depth comparison above, you will no doubt realize that if practicality is the primary concern, the machete beats the sword hands down. From the combat perspective, a sword would be too much effort in a melee, and would leave you open to the opponent’s blows, unless you’re prepared to don medieval armor and wield a shield. On the other hand, a machete, being shorter and thicker, would land good damage if needed, without requiring too much technique or practice, and would not tire you out in a few swings. From the outdoor survival perspective, the machete’s blade design is meant to chop and hack through wooden / plant obstacles and survive being knocked against hard rocks repeatedly, whereas a sword blade simply isn’t strong or wieldy enough to help you cut a path through the jungle for long. And speaking in terms of the cost involved in acquiring a workable version of a machete or a sword, the hefty price tag makes the latter infeasible for most consumers. If you’ve got any queries / suggestions regarding this comparison, be sure to leave them in the comments section below. That seems pretty much backwards, unless you are talking about some kind of cavalry sword designed for fighting other knights. 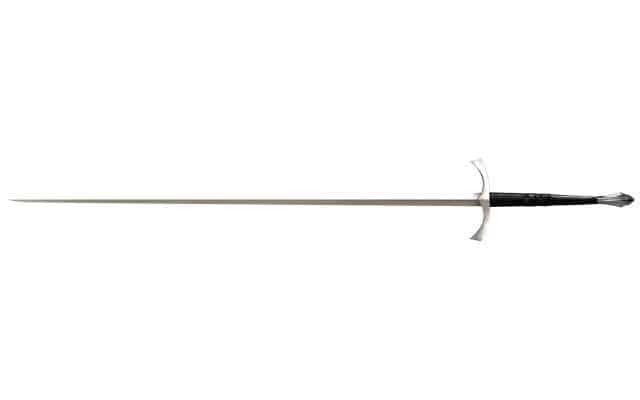 Otherwise infantry swords are specifically designed to agile and easy to handle, as you yourself, in fact, described in your comparison chart (hence the tapering). And swords died out long, long after armor harnesses did, they had centuries of use with unarmored wielders who didn’t carry shields (many manuals suggest wrapping cloth around your hand to be ready to grab the opponents blade). Even up until WWI, bayonets (called sword bayonets for this reason) kept getting longer and longer because the one with the longer reach usually one until trench warfare changed that. But even if you are talking about cramped combat in a trench, cutlasses are basically machetes designed for fighting, without the disadvantages of a machete. On the other hand, machetes weighted toward the end for chopping (as you mentioned), which is the opposite of good balance you would look for in a sword designed for fighting unarmored opponents armed with melee weapons. They are also thicker, less sharp, and not pointed, therefore far more predictable in attacks. That’s probably why most of their combat usage was against untrained and often unarmed opponents Even probably the most famous machete battle, Mal Tiempo, involved using machete-armed cavalry to feint the Spanish infantry in anti-cavalry formations where they could be cut down by rifle-armed infantry according to John Lawrence Tone. The machete soldiers didn’t chop up the enemy themselves. 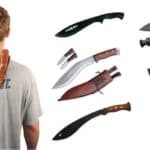 Anyway, great article, and I can see why a machete can be considered a more practical weapon, especially in a home defense in a small house, but to reiterate, its handling is designed for chopping, not agilely defending against other blades. WEEELLLL, if you actually know how to wield a sword, your average short sword is FAR better in terms of self defense than a machette. Sure a machette is more versatile, but as a weapon it just can’t match even a moderately well crafted blade. And btw, even some cheap display swords can do serious damage – they can be sharpened enough such that while they won’t stand up to the real thing in a fight, they’re still useful in warding off an attacker in case of a home invasion, as long the attacker isn’t armed with anything more lethal than your average pig-sticker (btw, just make sure the handle is securely attached to the blade, lol).